· With experience and without experience both can be come for interview. · Candidate should have degree or diploma. · At least 0 -1 years’ experience. · Benefits: As per UAE law. 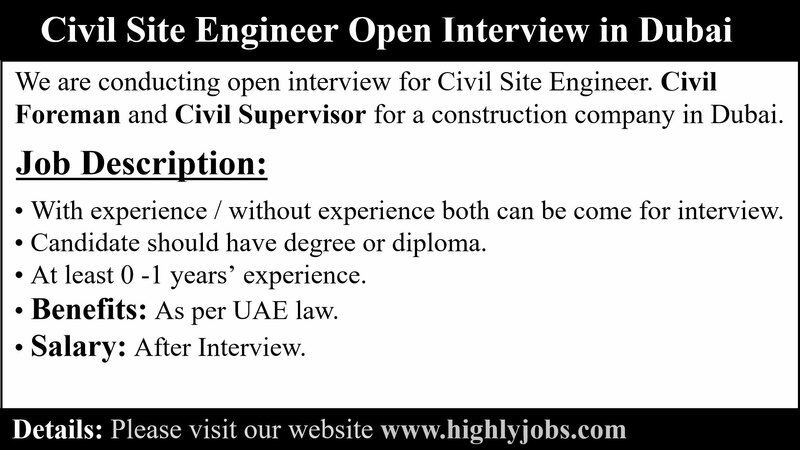 For details for the interview please contact to the following given number.